Fleet Logistics’ recently appointed CEO has set out the firm’s top priorities in the coming months as he marks his first 100 days in the business. 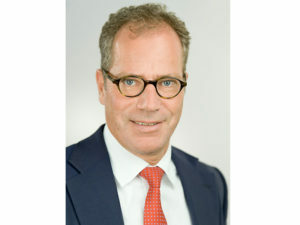 Dr Jörg Löffler, chief executive officer of the Fleet Logistics Group. Appointed in the summer, Dr Jörg Löffler said the company has three main priorities in the coming months: to integrate and harmonize its IT systems, to standardise its business processes and to adapt the organisation to the new standards and approach. On the area of IT integration, Dr Löffler said the firm currently has two systems in existence: one in Germany and one serving the other countries in which it operates, which will be moved to one global, modular IT platform. He added: “This will bring our fleet customers a number of clear benefits. Firstly, it will create a seamless process flow that increases quality and speed, and introduces great efficiency. “And secondly it will enable us to produce a new suite of management information reports with greater clarity and reach, and with a more modern, flexible and dashboard-type layout to more readily meet the needs of our customers. “Our objective is to finalise the phase-out of the system in Germany by the end of quarter two and complete the integration by the end of quarter three,” he said. He added that a further key priority is on standardized processes in all areas of the firm’s operations and to adapt the organization to accept and work to these standardized processes, and “to make our service offering more modern and more flexible for our customers, especially in relation to their market and technological requirements”. Another area of priority for Fleet Logistics in the coming months will be the consolidation of operations in new areas of the globe in which it has established businesses to support international customers. “We have, in recent months, opened businesses in the APAC and LATAM regions to provide fleet management support services to customers with operations in those regions,” explained Dr Löffler. “A priority for us will be to consolidate those businesses and establish them for the future. Therefore, we need to onboard more clients in these areas and increase our resources to reach critical mass and improve our offering, which is still rather limited at present. “We would hope to stabilise our newly integrated regions during 2017, before opening new operations, probably in the following year,” he said.